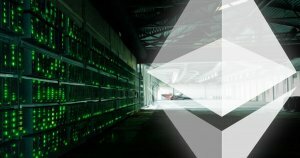 Rumors have surfaced that Bitmain has developed an Ethereum ASIC miner capable of tanking the Ethereum mining market. Correction: The prediction made in the article below was incorrect. An Ethereum ASIC is feasible has been released since this article was written. At CryptoSlate, we strive to provide you with unbiased and accurate news coverage and have since corrected the analysis in the adjacent article. 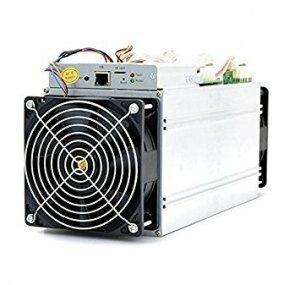 Antminer S9, one of the most cost-effective Bitcoin miners. In a proof-of-work system, a cryptocurrency is supported by computers all over the world through a process called mining. These computers perform computations that solve a sophisticated algorithm and add transactions to the blockchain ledger. The more decentralized the network, the more secure from malicious attack. GPUs are a type of computer hardware initially designed for rendering graphics in electronic devices such as computers and mobile phones. The highly parallel structure of GPUs also makes them highly efficient at processing large blocks of data in parallel, making GPUs ideal for cryptocurrency mining. ASICs are chips designed for a narrow purpose or a specific algorithm; however, these chips are inefficient at any other kind of computing. Bitcoin’s mining algorithm, based on SHA-256 cryptography, is vulnerable to becoming engineered into an ASIC chip. The ASICs used to mine Bitcoin are thousands of times more efficient than other kinds of computer hardware. Without access to specialized equipment Bitcoin mining is unprofitable. Meanwhile, Bitmain can charge outlandish prices for its lucrative mining hardware. Hardware specialization is undesirable for a cryptocurrency. Only miners who have the money to either purchase or develop competitive hardware can mine profitably, thereby increasing the barrier to entry and subsequently increasing the level of centralization in a cryptocurrency. Ultimately, cryptocurrencies which are prone to ASIC engineering are more susceptible to malicious actors and 51% attacks. 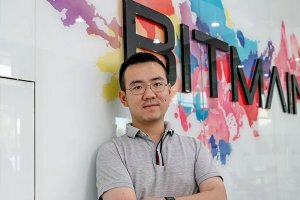 Jihan Wu is the CEO and founder of Bitmain. Fortunately, the creators of Ethereum and many other cryptocurrencies had the foresight to address centralization issues stemming from ASIC development. Random data selection is a process of mining Ethereum where miners are required to hash data that is randomly selected from transactions in the last block. Since Ethereum smart contracts can contain any computation, and miners cannot choose which contracts to process, an Ethereum ASIC is essentially an ASIC that is good at general, rather than specialized, computation; in other words a GPU. However, if a particular kind of computation becomes popular on the Ethereum blockchain, this may no longer be the case. 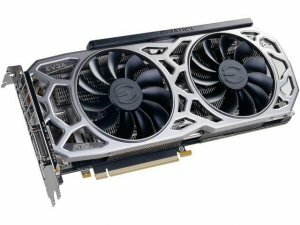 An ASIC could have an advantage over a GPU in that scenario. The Ethereum whitepaper mentions a second defense mechanism, “poisoning the well.” If a certain type of computation were to become popular, then a miner using general purpose hardware has an incentive to thwart ASIC users. Conventional miners can create large numbers of Ethereum contracts that are difficult for ASICs to solve. Such a maneuver would undermine a conventional miner’s competitors and maximize the conventional miner’s profits. This smart combination of technical design and economic incentivization prevents ASICs from proliferating in other cryptocurrencies aside from Bitcoin. By removing a few aesthetic features and adding some peripheral components to existing GPU chips, Bitmain can claim to have developed an “Ethereum ASIC” that is built using a chip from AMD and Nvidia and charge a premium to unsophisticated buyers.